I find that we all want to understand what we can do when facing what seems to be at times an onslaught against us mentally and Spiritually. This can be true for those who have dealt with the thought of not being loved, as I did as a young boy. In my situation then, I could not believe or accept that God loved me. This can be especially true if there were negative feelings, actions or thoughts that could prevent us from moving on towards wholeness. Last year at a conference in Orlando, Florida there was a speaker who spoke on those who felt alone, this thought rocked me to my knees almost. My heart was pounding, my head reeled, as I almost started to cry uncontrollably, as I have shared on my “birth-dad” earlier. He motioned to the people to reach-out and see if anyone needed to be ministered to. I caught myself looking around the audience and saw a young boy being comforted by a couple of ladies, at first, I thought it best to let them console him. I started to walk towards him and had no real “plan” of what to do next. As I looked at him and the ladies backed away, I found myself hugging him and saying “I love you!” We just seemed to connect at that moment, - though I could have been his grandfather -, he replied back, “I love you too!”, as he just stood there smiling and seemed very happy. His Mom said, “this is so new to him!”. He has never had this experience before! She had no idea how this has affected me to this very day! Your suggestions, comments, ideas are welcomed! ​To honor our fallen troops! 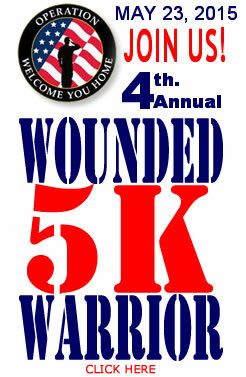 Do you know or have a loved one who has served? Let us build this for those, as a remembrance and tribute. This is to begin the process of placing the memorials in the Will County, Illinois, area. I believe this can be done in your State, County, local area as well. Let us not wait for another to begin this, we can accomplish this together! Honor those who have given their all! Designate your funds towards a loved one! Become an advisor, give your ideas, comments or suggestions! Check out this report done. And listen to what she says, you will hear how one Veteran who is in need herself helps someone else. Her statement: "I wish they were more people like you"... Can you be one? Contact me if interested. Today is PTSD Awareness Day! I have finished a book titled: "Live Now! Continue the Fight! This book clearly details information about the report from Veterans Administration indicates that twenty-two soldiers everyday take their lives! To them their fight came to an end. This is tragic since they returned home only to find their new life here harder to adjust to. The possibly thoughts and range of emotions they had to deal with that came home with them have plagued them constantly. Though they may have been identified as having PTSD, or TBI, with symptoms of having anxiety, adjustment disorders, and problems with alcohol and other drugs. Some of the recent returned Veterans have had Traumatic brain injuries that are similar to PTSD problems. I will include information from the Veterans Administration I have gathered. From 1989 to the present time. I believe the VA is trying through group meetings that I have attended, the doctors who do try to make sure a Veteran is not looking to find closure to their seemly endless torture of their thoughts followed by emotions that seem to control, manipulate and eventually have them to choose to end their present battle. Yet I believe they look only at the physical and not spiritual answers. About my new book: Live Now! Continue the Fight! Please go to www.operationwelcomeyouhome.org for more information to be held May 23rd, 2015 in Settlers Park, Plainfield, IL.